On a final push to find some films for this year’s programme I was lucky enough to spend a few days at IFFR at the end of January. On the night before I left, after three days of serious binge-watching, I managed to catch Nominoë doing this performance with their usual musical collaborator Michalis Moschoutis – it was bloody brilliant – expanded cinema using 16mm projectors on wheels with a custom-made three-sided screen. Beautiful colours, and simple shapes, it was minimal, but totally captivating. It was one of those relatively rare occasions when you feel intoxicated from the buzz of seeing something genuinely amazing. I’m so excited they’re performing at Flatpack, and with a Birmingham sound artist too, Annie Mahtani. It should be great. Another live performance from the Optical Sound strand (is it cheating to choose the whole strand as a Flatpick?). One thing we’ve always tried to do at the festival is mix international with the best of the local and regional scene, and this double-bill does exactly that. 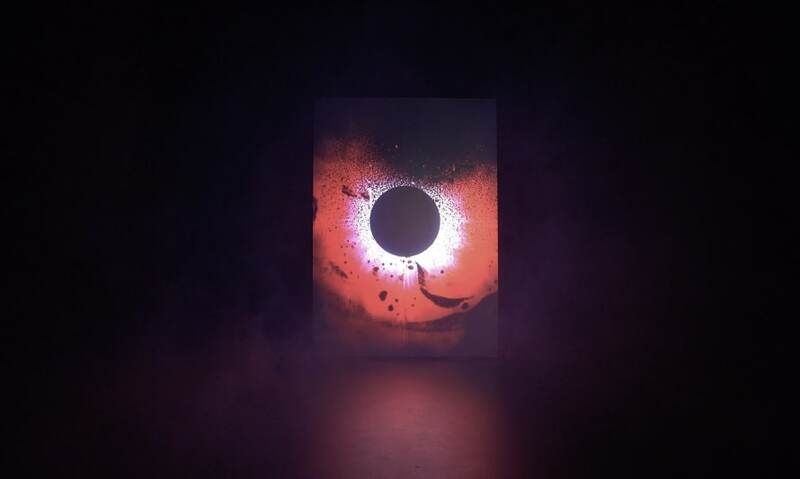 New York-based visual and sound artist Rose Kallal uses multiple 16mm projectors and a pulsating electronica score in her live shows – there’s a hypnotism about what she does - looping sounds and collaged images. She’s only doing two nights in the UK before heading back to NYC. Straight after Rose’s performance, Mothwasp take to the floor with a new piece they’ve been working on. Based in Brum, they’re no strangers to Flatpack, having performed a couple of years ago. Mixing analogue and digital techniques, their visuals respond to the drums and guitar. You can see Mothwasp, Rose Kallal, Nominoë and Annie Mahtani for the silly price of £12 with the Optical Sound day pass. Ok, so now I am cheating - this is actually six screenings, but it was too difficult to pick one out. I bang on about Flatpack’s short film programme every year, but justifiably so – it’s bloomin’ marvellous. This is where you’ll find the funniest, the most innovative, and the most inventive filmmaking in the whole festival programme. There’s a sixth programme of shorts in the comp this year Signal to Noise, so with the pass, it works out as just over a fiver for each screening. Such a bargain. For tickets to Is This Some Kind Of Joke?, Little Wonders, Breaking Point, Artefacts, Memory Lane as well as the full pass, follow the links here. I encouraged the team to make sock puppets over the weekend (you can see the fruits of our labour here) and it seems we all got pretty into it - probably a welcome distraction from emails. Anyway, sock-puppet-making will be on the bill at the puppet party, along with Moomin-making. It’ll be a fun blow-out too. But why puppets? I hear you ask. Well, they crop up a fair bit in the programme this year, from cameos in New Town Utopia, to workshops in Colour Box, then there’s Prince Achmed, actual puppet shows by BCU illustration students, and of course a specially-curated programme of shorts Puppetology. Bag a ticket to the party here.